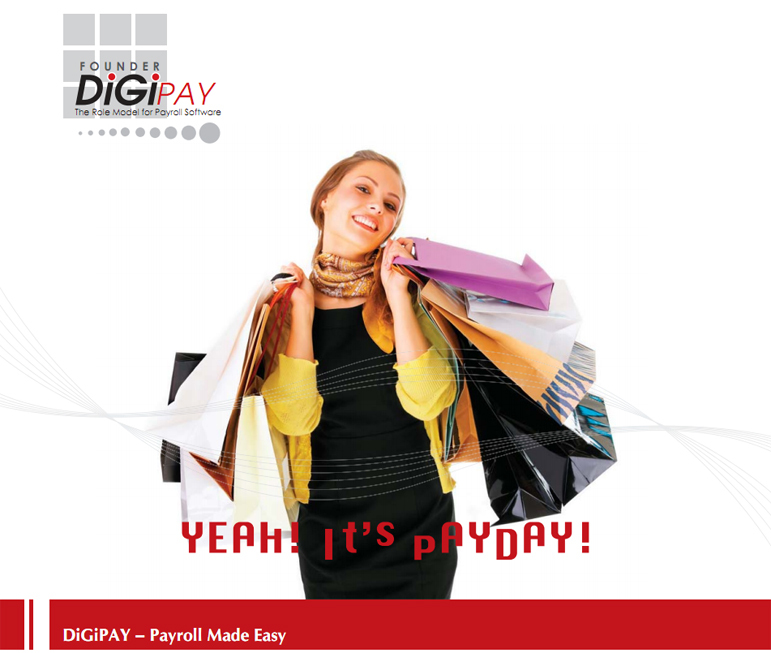 DiGiPAY is a simple and effective payroll system exclusively designed for Malaysian companies. It is the all-in-one payroll solutioncompliant with Malaysian labor laws to meet your high expectation. Setup of new payroll data and upgrade of existing payroll data are made simple by DiGiPAY. DiGiPAY offers various payment settings, three salary modes and equips with Human Resources functions to cater to the needs ranging from small companies up to medium enterprises. Available in Bahasa Malaysia, Chinese and English language, DiGiPAY is suitable for every company in Malaysia. DiGiPAY makes complicated payroll processing a simple task! • Setup wizard to help your payroll up and running in just a few minutes. • Payroll Advisor to guide your day-to-day payroll operation. • On the spot Helper to let you drag and drop on data entry field to get a helpful explanation. • Icons and toolbars for user-friendly Windows software operations. • Built-in earning calculations where user is not required to define the complex formula. • Viewing the calculations of overtime, EPF, SOCSO, PCB and etc. • Package comes with leave management and staff loan repayment schedules. • 3 in 1 package for Bahasa Malaysia, Chinese or English languages. • Option to upgrade your existing payroll data to this latest system. • Option to integrate with FingerTec® TCMS V2 for electronic attendance management. • Get a hassle-free system implementation from our qualified system installer. • Online and telephone supports available. • Convenient update of statutory changes via Internet download or CD. • Cater to the payroll needs from small companies to medium enterprises. • Handle multi-companies payroll management. • Salary Mode: Monthly, Bi-monthly, Daily employees. • Payment Calculation: Mid-month, End-month, Advance, Deferred and Bonus Payment. • Payment mode: Bank, Cheque, Cash. • Built-in earning parameters with recurring allowance for fast payroll processing. • Instant calculation of payroll net-amount without any processing work. • Human Resource functions such as detailed employee information, leave management and loan management. • Option to view or print on hardcopy or diskette downloaded for Bank Payment, EPF, SOCSO, Income Tax.